3d arcade shoot-em-up game with Crimsonland-style gameplay. 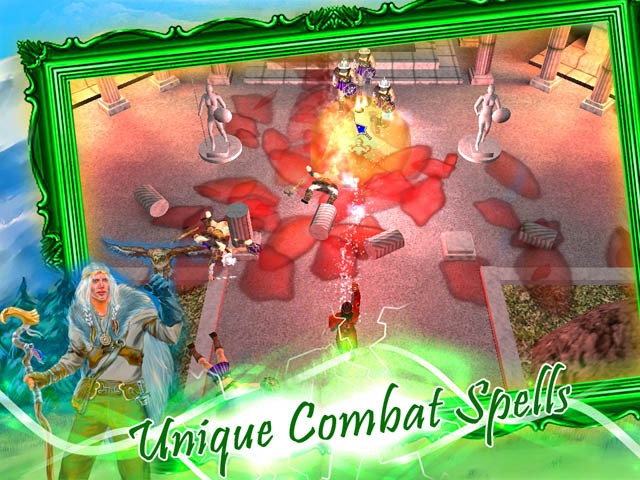 Try to help a crazy magician to protect his home from attacking monsters, witches and soldiers. You will face dozens of different enemies with melee and distance attack. You will have to use uncommon magic spells to defeat your opponents. Use lightnings, fireballs, frost and more powerful weapon spells. When enemies die they may leave some useful bonus in place of them – try to pick up all of them and that will make you more deadly. Controls: Aiming and Fire – Mouse, Arrow Keys – Movement.